Have you ever wonder if facebook was present since the beginning of time? 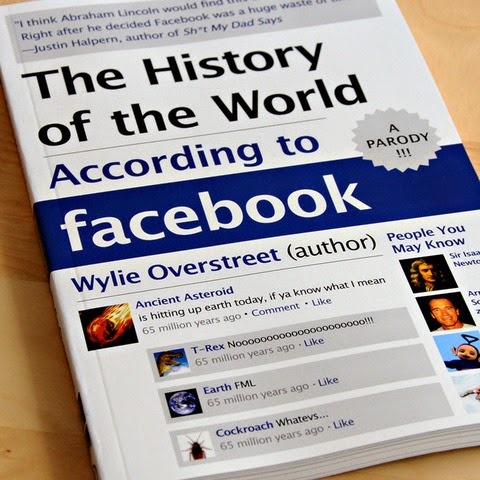 This parody book will give you an idea about what happened in their wall post if things or people from the past had a facebook. The result is something hilarious and creative. But of course you must not take everything seriously because what's in this book is always tongue-in-cheek. I really love this book. I think it's one of the funniest history book I’ve ever read. . Go read it! I really recommend it for you.